Nokia is Finnish multinational company created in 1865 that has ventured into curious market up to 2005 Nokia rule the mobile market but after 2005 there is a recession in Nokia product.It isn't able to compete with other brands of smartphones. 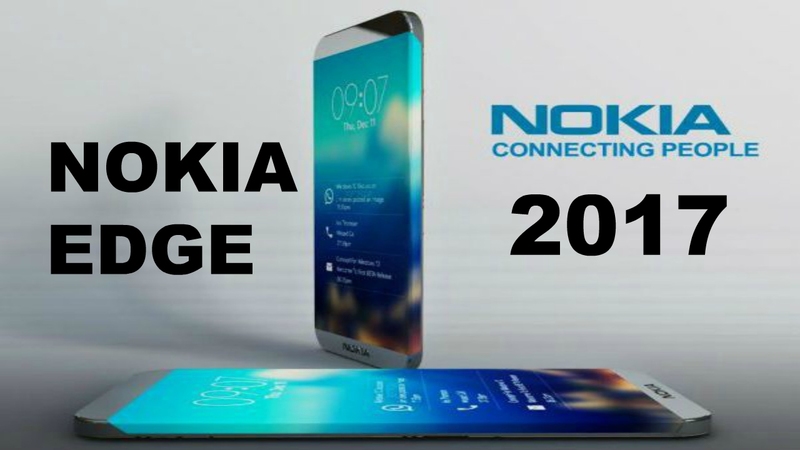 Now Nokia comes with a great mobile Nokia edge give a great fight to other brands. It's excepted the price is around 40k-50k. The rumors come that it can be launched at end of 2017. Chipset : - Qualcomm Snapdragon 652. In Nokia edge operating system is Android v7.0(nougat).It operates only single sim(nano).Display size is 5.52 Inch and screen resolution is 1080*1920 pixels.Its processor is octa-core 2.3 GHz with chipset Qualcomm Snapdragon 652.Its internal storage is 32 GB and extended up to 128gb .The ram of Nokia edge is 4gb.The main focus of the company is on the camera, the primary camera of Nokia edge is 23 megapixels and secondary is 8 megapixels. The battery is 3800 mah power and non-removable.It also has the fingerprint sensor. I am glad for your post. Nokia Edge 2017’s camera is really good. It will include a 23 Megapixel Carl Zeiss lens technology, and it's 2.3 GHz Octa-core processor and 3GB RAM will give super fast speed. Also, 3600 mAh battery will help us to get the high stand up time. overall, I think Nokia edge 2017 is an awesome smartphone. Thanks for your informative article.